What does a TemperaturePro Franchise Cost? TemperaturePro Franchising is looking for experienced business builders, senior level managers with a desire to generate high revenue per capita, have fun and make significant profit. 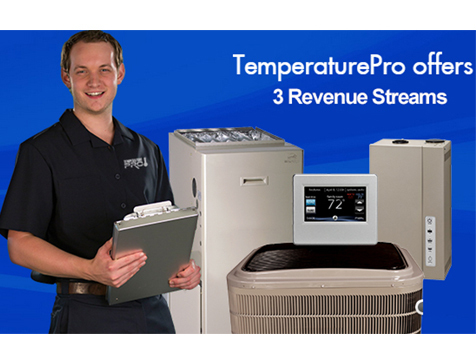 TemperaturePro HVAC franchise shows great profitability. TemperaturePro Franchising is looking for experienced business builders, senior level managers with a desire to generate high revenue per capita, have fun and make significant profit. No previous experience in HVAC is required. Unlike competitors, Temperature Pro grants exclusive territories.